Most people think of their bodies as one complete system. While in some aspects, this may be true, science has taught us that our bodies are made up of many different systems, all different, and all working together to maintain life. We have the digestive and excretory system that processes the nutrients we ingest through the mouth, esophagus, stomach and intestines and then eliminate the waste. There is the muscular and skeletal system that enables the body to move using muscles and bones to support the body and its organs. We have the nervous system that collects and processes information from the senses via nerves and the brain and there is the reproductive system that is required for the production of offspring. These are just a few of the numerous systems found within our bodies; however, one of the most important and life giving of these symptoms is the respiratory system, which consist of the lungs and the trachea and is responsible for bringing air (oxygen) into the body. However, when a system isn’t working properly due to injury or infection, many of these seemingly automatic systems can be comprised and not function in proper fashion. Bronchitis is a perfect example of one of these infections. Bronchitis is a type of respiratory disease in which the mucus membrane in the lungs’ bronchial passage becomes irritated and inflamed. As this membranes grow and swell, it can narrow or even shut off the tiny airways in the lungs, which is often accompanied with coughing, phlegm and breathlessness. There are two types of bronchitis. First, we have acute bronchitis, which is typically caused by viruses; usually the same viruses that cause colds and flu. Secondly, we have chronic bronchitis, which is a type of chronic obstructive pulmonary disorder (COPD). 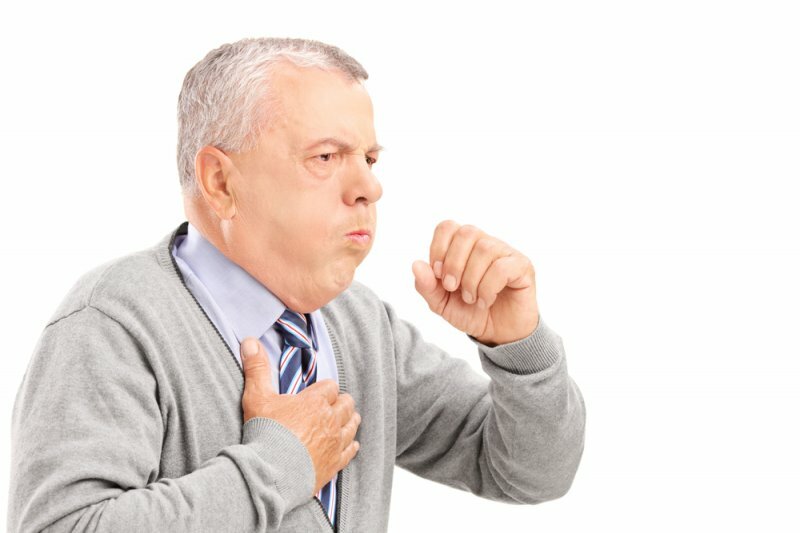 Chronic bronchitis is characterized by a cough with mucus that persists for most days of the month, for at least three months, and at least two years in a row. It is most commonly caused by smoking; however, it isn’t uncommon for air pollution, dust, and potentially unsafe work environments to contribute to its development. There is no cure for chronic bronchitis, but there is medication and treatment options that can help mitigate that impact it plays on your life. Like any ailment, early detection is key to ensuring that the disease has as minimal an impact on your life as possible. Bearing that in mind, here are 10 of the Most Common Signs and Symptoms of Bronchitis. All mammals’ cough. A cough is a sudden reflex that humans and animals alike experience in order to clear the throat and breathing passages of foreign particles, microbes, irritants, fluids and mucus. To put it simply, coughing is a rapid expulsion of air from the lungs. In the case of bronchitis, the bronchial tubes that carry air into your lungs become inflamed. When this occurs, the irritated membranes secrete extra mucus, which coats and can sometimes block the small airways. Cough is the body's reaction to this excess build-up of mucus, and by expelling it, the body is able to breathe easier.